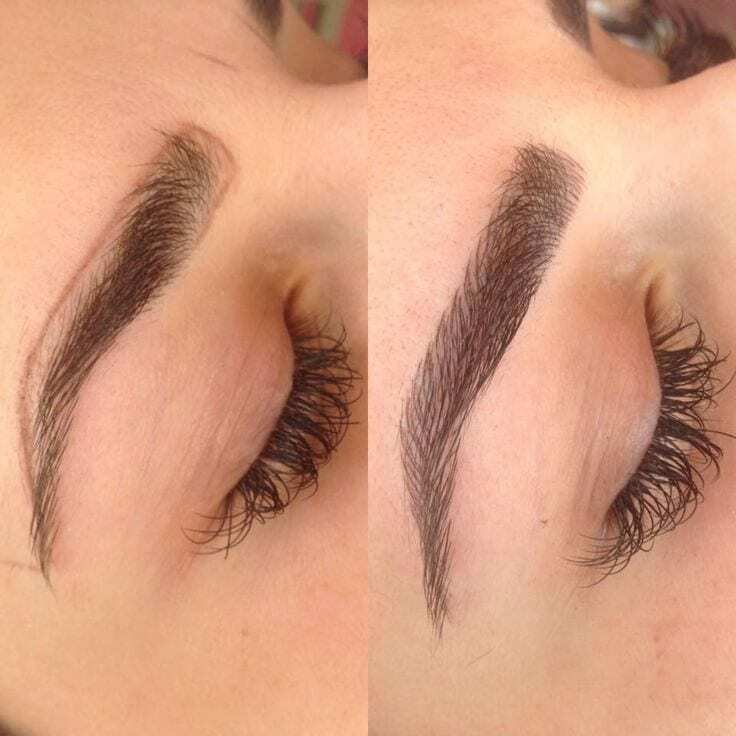 There’s a new beauty trend taking over the beautysphere – Microblading. 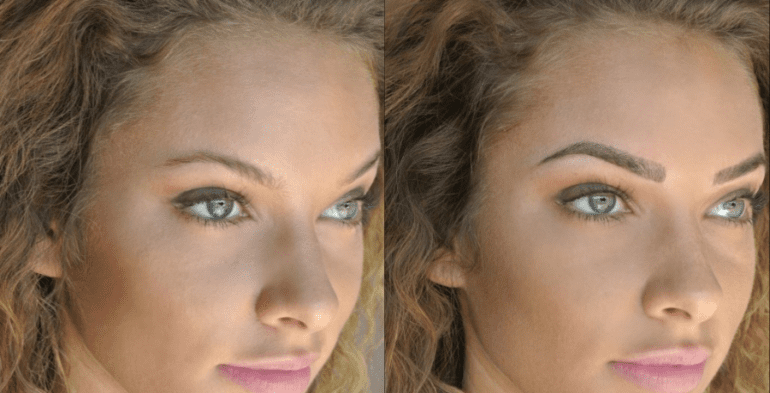 Microblading is a semi-permanent tattooing of your eyebrow that is done by drawing single pieces of hair, rather than the old school version of tattooing one block of color underneath the hair. Microblading is done with a unique microblading pen that holds the ink and delivers smooth and delicate lines, stroke by stroke, creating new and fuller eyebrows. Nadia Afanaseva of Eye Design New York sat down for an interview with InStyle magazine, where she said, “The first hour we’re drawing the shape in with a removable pencil. That’s the longest part and the most important step. During this time, the best-customized shape for every client is chosen.” The entire process is supposed to take no less than 2 hours and lasts approximately 3 years. Now, I know what you’re thinking – does it hurt? Well, it’s not the most comfortable thing in the world but the technician does apply a numbing cream and a liquid anesthetic to numb the area to the best of the ability. You will feel the pressure of the technician working but it won’t be painful. Once you are done you are more than capable of walking down the street as if nothing happened. It’s somewhere along the lines of gel nail polish and how there’s no drying time. However, technicians recommend coming back after 30 days, which is the standard healing time, to have a slight touch up so as to maintain the look for the long run. There are women who do a retouch every year and then there are others who don’t feel the need to do any form of retouching for multiple years, it really depends on you and your skin. Elle magazine also did their own investigation into the microblading world and interviewed Piret Aava, also known as The Eyebrow Doctor. Aava said that before you undertake this beauty transformation you need to stop taking any form of Aspirin and alcohol a week before your appointment as Aspirin and any liquor are blood thinners and can create excess bleeding during the microblading process. Aava goes on to say that aftercare of the microblading is important, just like with any other tattoo. You can’t sweat or wash that area of your face for the first few days and need to use Vaseline or a special ointment given by the technician to put on your eyebrows post-microblading. She also says that touch ups are needed depending on your lifestyle but are usually between every six months to a year. The cost is one of the hard things about this treatment, it varies from around $600-$900 for the first time around. While it does sound like a money to put down, can you imagine how great it would be to wake up with perfect eyebrows every single day? I know I am seriously thinking about doing it, as the once thin eyebrows are now out and my face is desperately in need of framing. There’s only so much eyebrow pencil a girl can use.